When I click phonebook or messages, 'try later' message is coming. I restarted couple of times to see if it gets fixed. Pls let me know if any body has solved this issue. I am using g-60 for quite some time now. I hv alrerady gone through the "try later" problem ones. The last time i used a PIN number, PIN & PIN2 in the security of phone settings. Now i have restarted the mobile after a year, i again get a "try later" error, ones i press a message button or the phonebook. I dont remember my last PIN & PIN2 numbers, so i am unable to use them / remove them. Anyone please suggest, how can i use my phonebook and messaging options. and also how to erase the PIN and PIN2 numbers. Thankyou very much, for the ones who took two mins. to read all this. 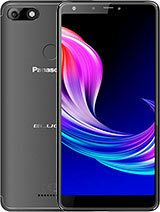 can i access INTERNET on my pc with this phone? You can disable the lock code so that you do not have to enter the code each tym u switch on ur cell. i just want to say "try later" and can i download games in my panasonic g60? The phone is strong, durable and nice with beautiful ringtones. The problem is that it shows 'try later' anytime I want to access my phone book or messages. And the parts especially batteries and casing is scarce in Nigeria. Thank you very much for your graciousness in sharing with everyone your experience in solving the G60 'Try later' problem. It's people like you who make visits to forums worthwhile. I was able to solve my 'Try later' problem by activating the 'PIN Code' and you saved me a trip to the repair shop. God bless! 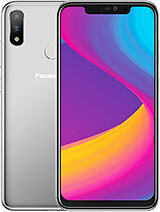 I am using G-60 (Panasonic) in India and unable to open phone book and messages. It is showing "Try later". Can anybody help me how to get rid of this problem. i've had this problem on my panasonic g60 phone. i wasn't able to read my text messages or my phonebook, phone says try later. i didn't use pin code in startup only phone lock code. to solve this problem i put pin code query in startup and i can access now my text messages and phonebook. you maybe had to use another phone to change pin code query in starup. i loved this phone ive had it for two years but after just a year the paints come off and the pictures displayed on the phone screen for advertisement are false advertising . . . the panasonic G60 takes ages to focus and when it does the picture is still often blurred and unrecognisable, and after a year faults are already sarting to appear . . . it vibrates randomly, switches itself on and off, crashes when you click on games and often a box pops up saying i have to change network. As i said before i loved this phone but i feel its not value for money if after a year there are already faults in the technology. hello, i have this model of hp but my charger spoil can't find a replace one. Can anyone know where to buy from spore thx. I have had this phone for almost a year and it is the best, most durable and customizable phone u can get. 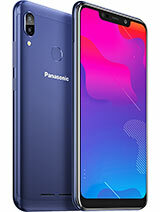 It is the only phone with Image-In(u can put any picture you want on the back) and u can buy an optional camera for it which willincrease the colours on you screen. The menu innterface is wonderful and the features are almost jampacked. I realy cn't think of anything that is disappointing about the phone at all. IT IS EXTREMELY DURABLE! it droped from over 3ft high and nothing happened to it all! it just bounced, everything was working phone, no shaky sounds on the inside or nothing, this happened 3 times, the 3rd time it skid across cement and the only damage was a realy small scratch on the LCD screen, overall, if you want a phone thats easy to use, ultra durable, feature rich and customizable so u can express ur self and if ur on a budget? 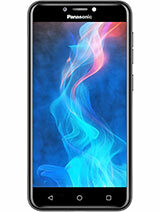 Its the best phone you can buy. 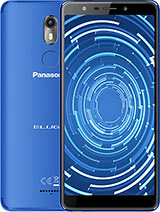 you can download alot of ringtones and icons from the WAP browser, visit wap.panasonicmmobile.com on ur phone if u have internet access, it also as a built in recorder and handsfree! when i first had this phone i had no trouble downloading games through the wap service,after downloading solitare i tried to download a new appearance costing 25p,when doing so my phone locked up ,when i tried to cancel this option my phone lost the game service.now when i go to the games option on, my phone infusio appears a blank white screen then my phone turns off for a few seconds,could it be possible to have some new setting sent to my phone for this servics. i have lost my games service, by accidently canceling my service when down loading a application. my phone just locks up when i try to get to get to my games. does any body know how i can get my service back.! 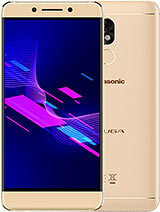 Total of 181 user reviews and opinions for Panasonic G60.